Breefly is a cloud-based platform that simplifies business reporting while delivering multi-structured data and analyzed insights, as well as curated, actionable content to users. Founder and CEO Marcus Jimenez soft launched Breefly at Collision 2018, and spent some time telling us about the goals and value of the platform. Jimenez found the impetus for Breefly while working with research and data clients who constantly needed help articulating data to make it more consumable and digestible for teams less interested in reading a 400 deck than getting to the crux of the matter. 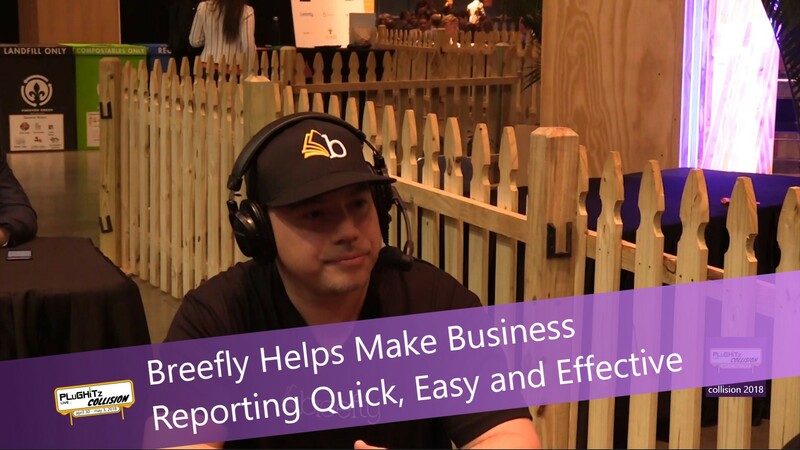 Breefly is an enterprise level type product built with the market research industry in mind, but which Jimenez says has broader corporate applications for a multitude of business reporting needs. Essentially, the platform helps socialize impersonal data into meaningful stories. It integrates multi-structured data including text, imagery, and rich audio and video media, and allows users to create almost any type of shareable content for everything from business and sales briefs featuring data visualizations to general marketing and corporate communications to podcasts and video ethnographies. Users can create their customized briefs within minutes, for more palatable and meaningful business reporting. Reports are end-to-end encrypted to remain secure and private, and the platform is cloud-based, giving users full control over their reports, with the ability to grant access as needed and only when needed. Because users love swiping, the system interface allows users to swipe left and right to visit the selected brief and a couple of taps to access the story-based format of data and content. The system allows users to create flash briefs, good for general recaps and summaries; marketing briefs for things like trends reports and campaign summaries; research briefs for executive summaries and tracking study updates, and video briefs for ethnographies, video project updates, and corporate communications. Briefs are also auto-tagged upon creation, so users can simply use the keyword search to easily search and view briefs. Visit the Breefly website to learn more.